Is patisserie right for you? Discover our patisserie courses! Browsing at the window of a cafe or restaurant, you can’t help but notice the intricate detailing of the decorative cupcakes and cookies, or try to resist that unmissable scent of freshly baked bread. Who are the creative geniuses behind these creations? Pastry chefs, of course! Do you have a passion for baking and want to turn your hobby into a career? 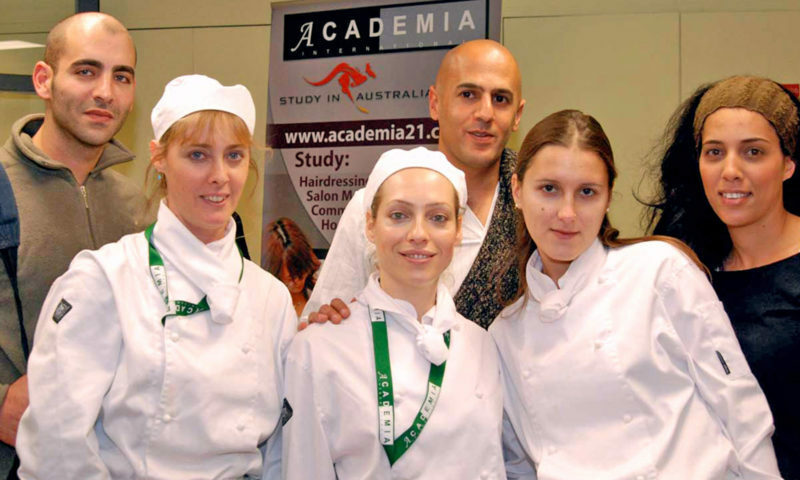 Find out if studying patisserie is right for you with Academia! An artistic flair is crucial in the kitchen! Patisserie is more than just baking bread or frosting cupcakes; it’s a form of art, so your creative flair can thrive in a commercial kitchen. People eat with their eyes, so you understand the importance of presenting beautifully decorated pastries. Creativity extends beyond the presentation of your pastries – it can also mean critically analysing a simple recipe and creatively determining ways to enhance, improve, or tweak it. Intricate care, methodical techniques, and patience in the kitchen are all key qualities of a pastry chef! Baking can be a long task, so it’s critical that you have the patience to see through an item from its rawest form – basic ingredients – all the way through preparation, cooking, decorating, and of course, proudly presenting beautiful baked goods to your customers! If you’re dedicated to putting in hard and often long hours, you’ll receive great satisfaction and pride from your job! Running around the kitchen, you need to be good at multitasking, and being on your feet for extended periods of time. Sure, with the right qualification you can get a great job working in world-class restaurants and hotels, but if the passion isn’t there, it mightn’t mean much to you. No matter what career you choose to pursue, ensure your passion will carry you through the tougher times. Passion and drive fosters hard work and success – it’s a crucial ingredient! Making magic in the kitchen starts with a great education! Here’s a quick summary of our four patisserie courses – click the link below each to read more. Gain the practical patisserie skills to work effectively in a commercial kitchen. This course is a pathway to the Certificate IV and includes a 10-week placement in an Academia-affiliated hotel. 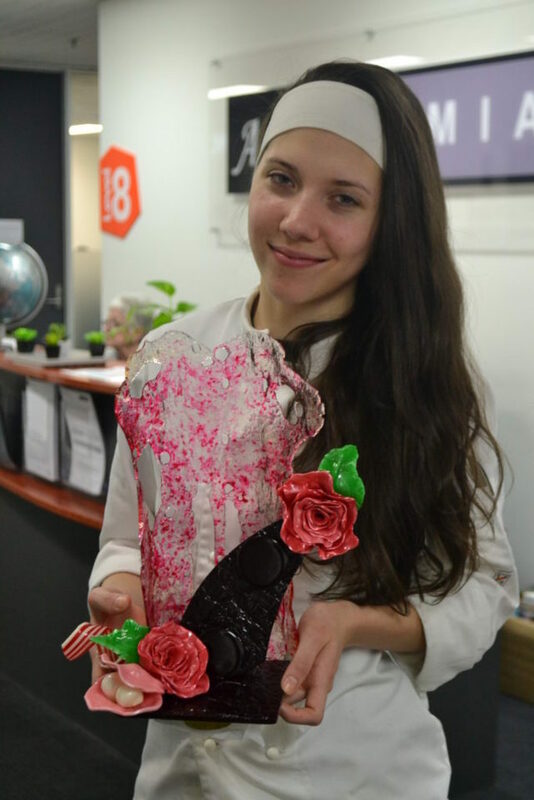 Build on the skills acquired in the Certificate III and major in sugar and chocolate. After successfully completing this course, you can enrol in the Diploma! Certificate IV also includes a 10-week placement. 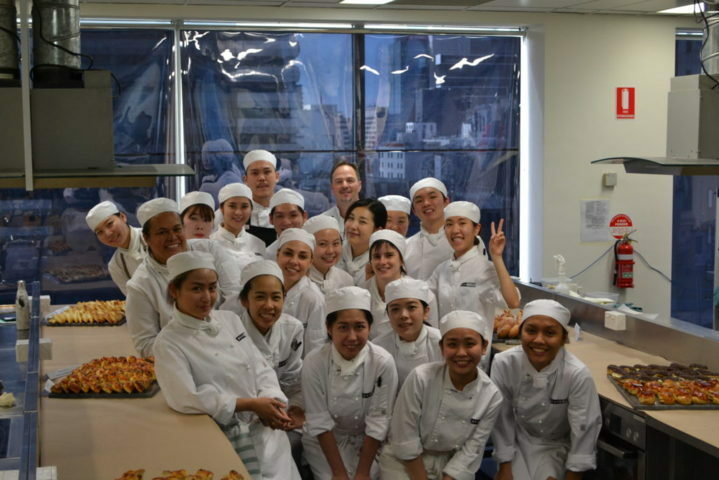 Majoring in the Patisserie stream, the Diploma further builds on skills learned during the Certificate III and IV with job outcomes at a managerial or supervisory level. Again majoring in Patisserie, the Advanced Diploma helps you further refine your skills in patisserie and also develop leaderships skills in areas like HR, business management, and marketing. Kitchens move fast: at any one time, you could be bread baking, drizzling caramel over your delectable desserts, and preparing batter for your next lot of cupcakes. There’s a lot going on, so it’s important you can effectively manage your time in the kitchen. The high-pressure kitchen environment can be stressful, so it’s important that you can keep a level head and maintain poise during challenging situations. Doubly important if you’re a manager, as you’ll need to lead your team of bakers by example. If you’re in good physical shape and boast great stamina, you’ll dominate the kitchen floor! Academia is proud to train the next breed of qualified pastry chefs, delivering patisserie courses from both our Melbourne and Brisbane campuses. With strong ties within the industry, we can help students gain real-life insight and put their skills into practice through our placement programs inside a kitchen within a renowned hotel. Explore our patisserie courses here and if you’ve got a question, don’t hesitate to reach out to us! Creating beautiful desserts and pastries is an art form. Those who have the skills can make a very good living in any restaurant, small business, hotel kitchen, and other social places. If you have always enjoyed working with sugar, chocolate, fruit, and other dessert items, becoming a patisserie chef is a rewarding career choice.